The UK’s leading broadcast, production and media tech event organised by BVE is happening again this year. This event is a great opportunity for the industry’s creative minds, tech professionals and business leaders to see the biggest brands, newest kit, cutting edge tech and visionary speakers. 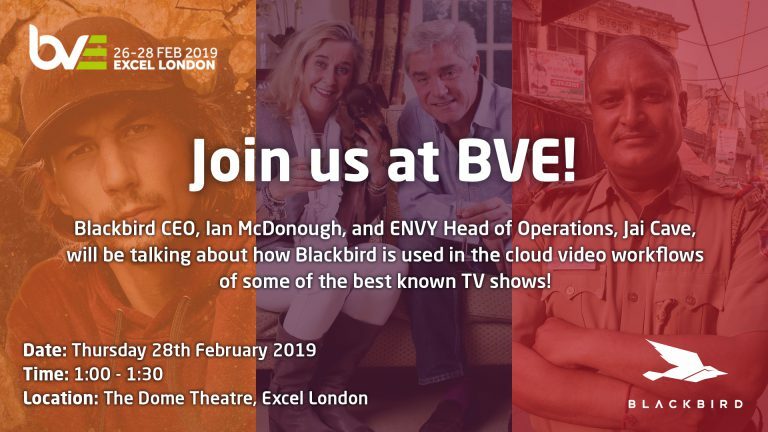 We are excited to have our CEO Ian McDonough, and ENVY’s Head of Operations, Jai Cave, talk about how Blackbird is used in the workflows of some of the best-known TV shows such as Gold Rush, Delhi Cops and Gogglebox.